Nextup Support - How Can We Help You? We're here to provide the support you need. Have a question? Check our Frequently Asked Questions. We're adding new content all the time. See How Nextup Can Help! 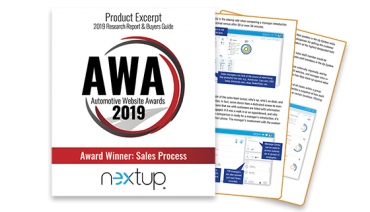 For the past 12 years, Nextup has been helping dealerships like yours use data to better manage their staff, increase CRM utilization and sell more vehicles. Login to Nextup on your desktop. Click the first or last name of the person to be deactivated. On General Tab uncheck the Active Box. After the grace period passes, the rep will be locked automatically. To unlock a rep on downlist, click the padlock to the right of the reps name. If rep is not on the downlist, select Staff then click padlock at the far right of their name. Click Staff or your name in top right. Click reps first or last name. Select Notifications tab across the top. Text (SMS) Toggle should be green. Current notifications are highlighted green. Click any position to enable alerts for that position. Select the desired report, date and filter (if applicable). Click Feature tab to assign features (in most cases - all of them). Click Rep Name on Uplist. Drag to desired position and release. Confirm the correct position by clicking “OK”. Click on the reps name in Downlist. Notifications are defaulted to positions 2 and 3. Click report, today and select filters (if applicable). Click Schedule (if disabled email is missing in profile). Select Delivery frequencyClick more to choose file type and additional recipients. Click More, then My Reports to view. Select the Delete button on the right hand side to remove reports. Click Show to view right column (If applicable). Type message in text box or select a Quick Message. Click Blue highlighted Plus Sign. Click box next to recipient (or multiple recipients). Alternatively Search for name or Click group to select predefined groups. Select More, then Manager Alerts from the box that pops up. Select desired list in dropdown. Check the boxes for desired alerts (saves automatically). Uncheck the boxes to disable alerts.